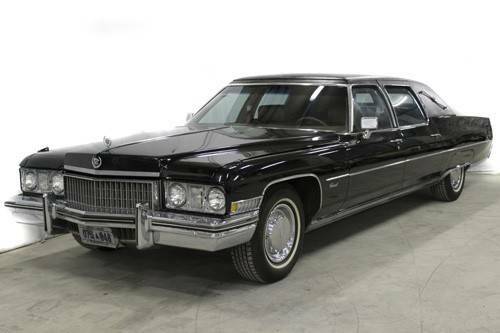 A large collection of Cadillacs are set to go under the gavel during a Coys auction in Maastricht, The Netherlands on January 10, according to The Telegraph. The grouping consists of multiple unique Cadillacs, including an extremely rare 1904 Cadillac B 4S, a model which was only in production for one year. The collection, owned by Stasys Brundza, consists of 35 different Cadillacs. The aforementioned 1904 B4S is the most valuable of them, predicted to fetch between £47,000 to £59,000. Another valuable Cadillac, a 1959 Cadillac Fleetwood Series 75, should sell for anywhere between £15,650 and £19,600. The Brundza collection, one of the most prominent in Eastern Europe, is filled with early 20th century Cadillacs, Buicks, Lincolns and other classic luxury machines. The entire contents of the collection being sold by Coys can be viewed at this link. If you’re a Cadillac fan, you won’t want to skip out on checking out some of the precious American metal being sold off.